We love our customers and as a way to show you how much we apprecite you we're holding a giveaway! 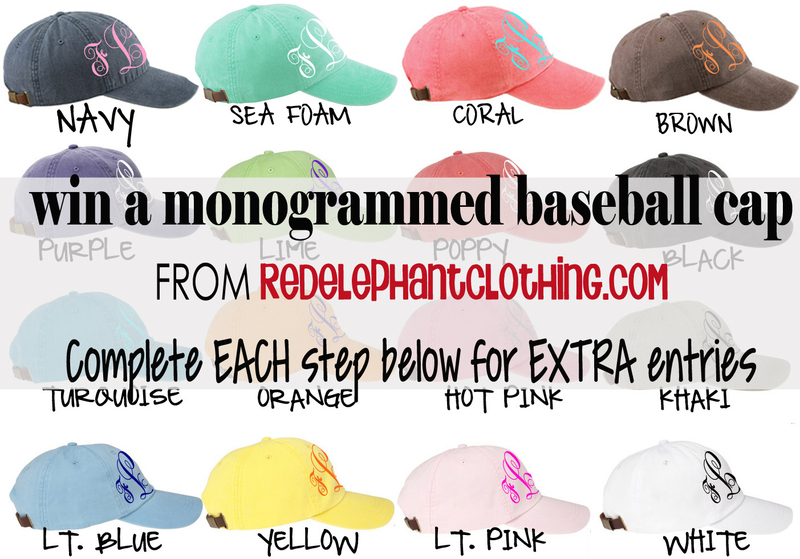 This is your chance to win a FREE Monogrammed Baseball hat of your choice from Red Elephant Clothing!! Be sure to check back each week for a new giveaway and a new FREE monogrammed prize! Thank you for shopping with us at Red Elephant Clothing! The winner will be chosen at random. Complete each section below to earn extra entries.